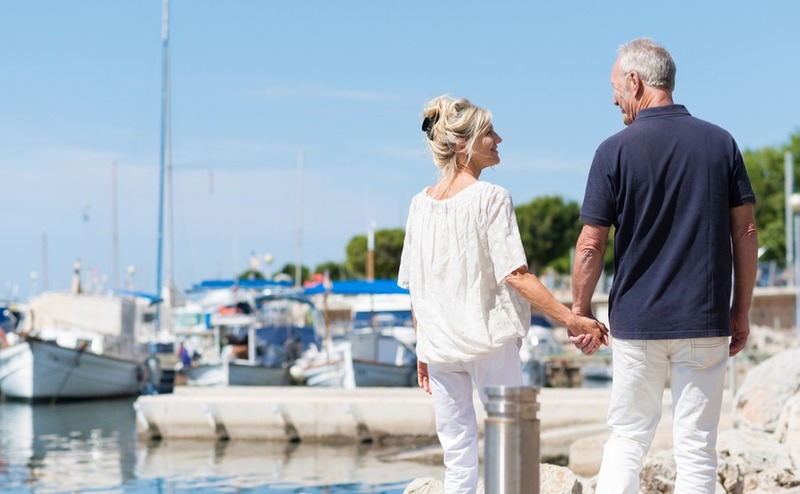 What is retirement in Spain like? It is no accident that retirement in Spain is so popular with the British. There are numerous reasons for this, not least of all the climate. It brings on average 2200 hours of glorious sunshine. Then, there are 4,964km of coastline, not to mention the relaxed lifestyle. Imagine waking up to blue skies and warm sunshine and walking onto your terrace to take a dip in the pool before breakfast, or indeed ambling down to the beach for a swim. Golf and other sports are enjoyed all year round. Perhaps you are into water sports: again, Spain offers everything you could want from diving to kayaking, water skiing to surfing. After such lively activity, why not go out for a menú del día for lunch? They cost between €10 and €15 for a three-course lunch with wine. Perhaps you have been lazing by the pool sipping a cava? Or attending an art class or walking with friends in the hills or by the sea or renovating your property. This is not fantasy; this is the reality of retirement in Spain. Social life revolves around food and good company, outdoor activities and sport in general. Tapas bars are convivial places, best enjoyed with a group of friends. What else attracts us to Spain? The warm climate is definitely good for health, especially for people suffering from arthritis and respiratory conditions. It also makes everyone feel good generally. Of course there are some rainy or cloudy days but the clouds never feel as oppressive as they do in northern Europe and the UK where sometimes it seems the clouds are just above your head! Another reason for retirement in Spain is the cost of living. Outside of the main cities of Madrid and Barcelona, life is less expensive here than in the UK. Another reason for retirement in Spain is the cost of living. Outside of the main cities of Madrid and Barcelona, life is less expensive here than in the UK. The important things such as your weekly supermarket shop will work out less than you are used to. Petrol and diesel are also noticeably less expensive than in Britain. The utilities cost between €65 to €180 a month for an 80m2 apartment. That includes, electricity, gas and water! Eating out regularly is affordable for everyone, whether it is in a local restaurant for the lunchtime menú del día, a tapas bar or indeed a more upmarket restaurant. Theatre, cinema and concert tickets are generally within most people’s budgets. There are also so many things that are free! The sunshine, local festivals and other events, walks along the rocky coastline or the promenade… You’ll also find free activities for all the family organised by many councils and museums on certain days don’t charge. Find out what you need to look out when looking at properties with our free guide, Your Viewing Trip. Most towns in Spain have a society for retired people. They organise lunches, trips around the country and other social events. You will need to have some knowledge of Spanish to enjoy them, but it’s a great way to meet local people and to get involved with local life. There are also numerous associations and societies for expats. For example, the U3A is present in much of Spain and offers plenty of different activities for English-speaking people. For those who still would like to be employed in a part-time capacity, there are several opportunities. 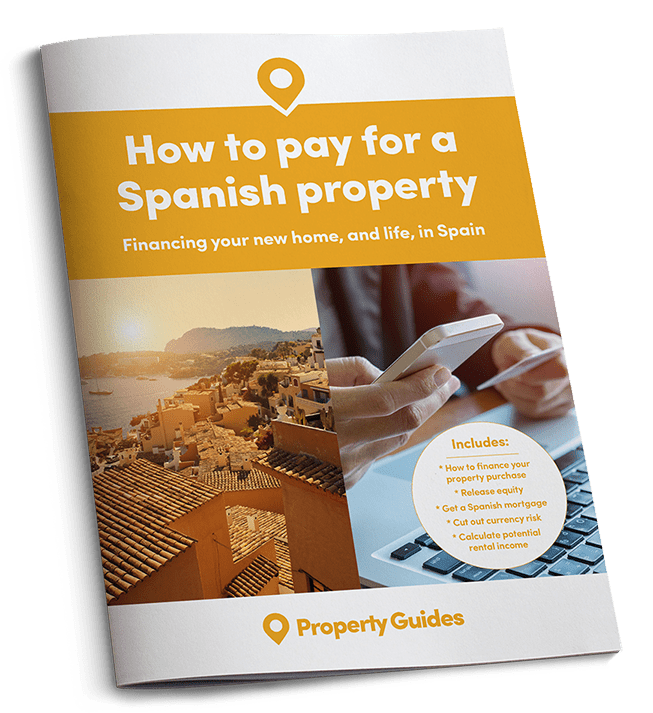 This could be key-holding for other expats, property management for expats, helping out at a charity or offering skills in return for Spanish lessons, for example. 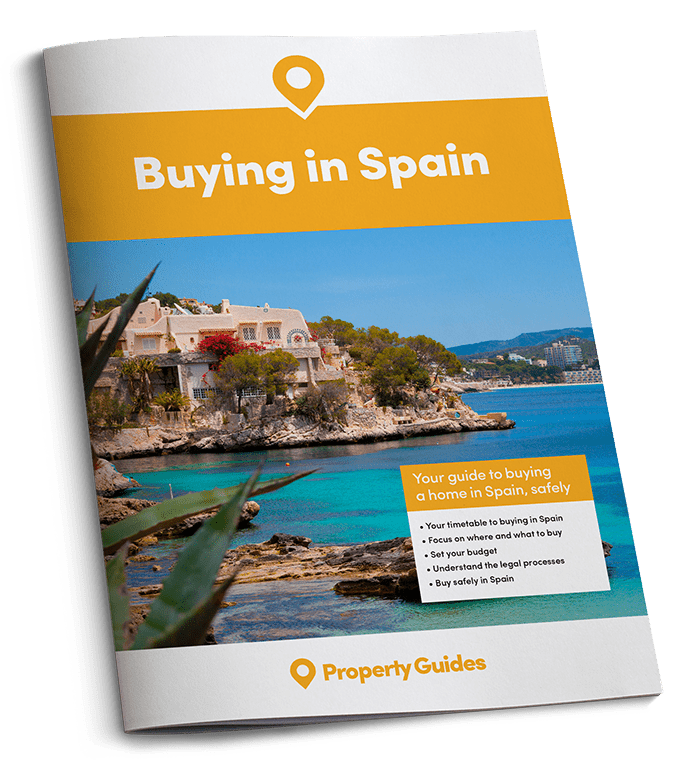 If you are coming to Spain to retire then there are few things to consider before you buy. Whereas a house in beautiful countryside surrounded by olive trees might sound inviting, think about how far it is from the local town and important amenities. Do you want to have to take the car out for everything or would it be better to live within walking distance of the supermarket, bank, doctor? Even if you are not yet of retirement age, it’s a good idea to think ahead to a time when you might need to be closer to a town. The Costa del Sol is particularly attractive for retirement, with its wonderful year-round climate and large expat community. There all types of shops, bars and restaurants which cater to British tastes. You’ll find plenty of clubs offering different activities. The wide promenades are lovely for strolling and generally the coast isn’t hilly, making it easy to access. 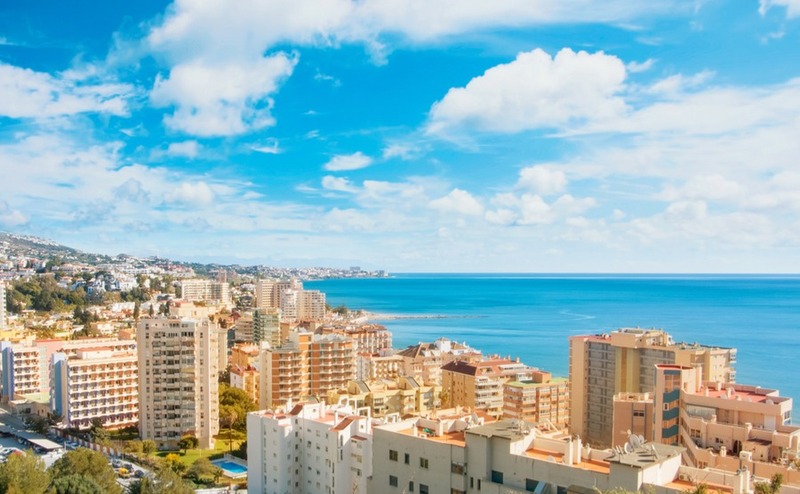 Have a look Fuengirola, a town which retains some authenticity but which is very popular with British expats. In fact, 25% of the population are non-Spaniards. The old port is still used by fishermen and it has 8km of beaches to enjoy. Plus, you’re 25 minutes from Málaga International airport with many flights back to the UK. For something a little different but which has similar advantages to Fuengirola is Palamós on the Costa Brava. Palamós is a major fishing port which also welcomes cruise ships. The old town is pretty with narrow streets full of shops and tapas bars and restaurants and it is alive for the whole year. Its beaches are sandy and inviting. It is only 40 minutes’ from Girona airport and 90 minutes’ drive from Barcelona airport which has international flights to many of the world’s destinations. Discover the thousands of properties available to browse on our property portal. Another thing to consider is in what type of urbanisation you would buy your new home. Some are really just for people who come during the summer season, so you might find yourself almost alone there for much of the year. Better to look for a mixed nationality urbanisation where there will be people all year round. If looking for an apartment, check that it is not in a place that opens just for the season. Many of Spain’s smaller coastal towns are packed in the summer months and then hibernate completely come October, only to reawaken in the spring. Try to find a slightly larger town which retains some life 12 months of the year. Fuengirola is made up mainly of apartments lining the beachfront but there some villas in the streets of the old town. Palamòs has apartments on the beachfront too with wonderful views, a mix of traditional village houses and modern developments. In both, you can find flats for around €130,000 and detached villas for around €300,000. Fuengirola has many high-quality apartments that are ideal for retirement in Spain. Under current rules, if you have a British state pension, this will be updated with annual increments if you move to Spain. The government has said that this will continue when Britain leaves the EU if there is a deal. Your pension can be paid directly to a Spanish bank or to an account in the UK. Please note that if it is paid directly to Spain, it will be subject to whatever the exchange rate is between the pound sterling and euros that day. For those with private pensions you might find that some providers pay only to UK banks. Whether transferring directly into your Spanish account or from a UK account, we recommend using Smart Currency Exchange. The only currency company in the UK specialised in expat life, they can help you lock in a single exchange rate for an entire year. That means that you know exactly how much you’re getting – without relying on the constantly changing markets on the day of transfer. British pensioners are entitled to free healthcare in Spain. The new Spanish government (PSOE), has reinstated universal free healthcare for all people resident in Spain. This is good news as the UK government hasn’t completely confirmed that it will continue to pay for British retirees in EU countries if there is a no-deal Brexit. Private healthcare in Spain is less expensive than in the UK. You might find it is worth changing to a Spanish company, particularly if you are some way off retirement age. If necessary there is also a scheme where you pay to be able to use the national health service, known as el convenio especial. Prescriptions in Spain are not free but what you pay depends on your income and amounts range from 10% to 50% of the cost of the medicine. It is worth thinking about the fact that we are living longer than previous generations. We’ll therefore need enough money for a long retirement, maybe 20 years plus. Take professional advice to make sure you will have enough funds to cover it. Don’t let health stand in the way of your move – find out about medical care overseas by downloading your copy of our guide, Healthcare Abroad. There are several organisations both Spanish and British which help elderly people. Find out where they are when you are feeling fit and well, so that you can call on them if necessary later. Look at the Red Cross and British Society. There are some excellent care homes in Spain and sheltered accommodation in most areas. The best way to get all that you can from retirement in Spain is to get involved in clubs and activities in your area. As already mentioned there are several groups and associations available for British people. However, why not also get involved with your local community? A starting point would be to take some Spanish lessons where you will meet other British expats who, like you, are finding their feet. Speaking the language is a massive advantage in every way, so you will feel less like a foreigner and more like a British Spaniard!